The owner speaks good English and she is really helpful- because od travelling with a toddler we got the room on the first floor instead of the second. The room was spacious and well equipped. I totally recommend this place! The rooms are very clean, big bed, good bathroom utilities. The placement is great, you're exactly near the old down town ( 3-4 min walking ).I did not meet the owner in person, but seems kind. The lady who cleans is very friendly. 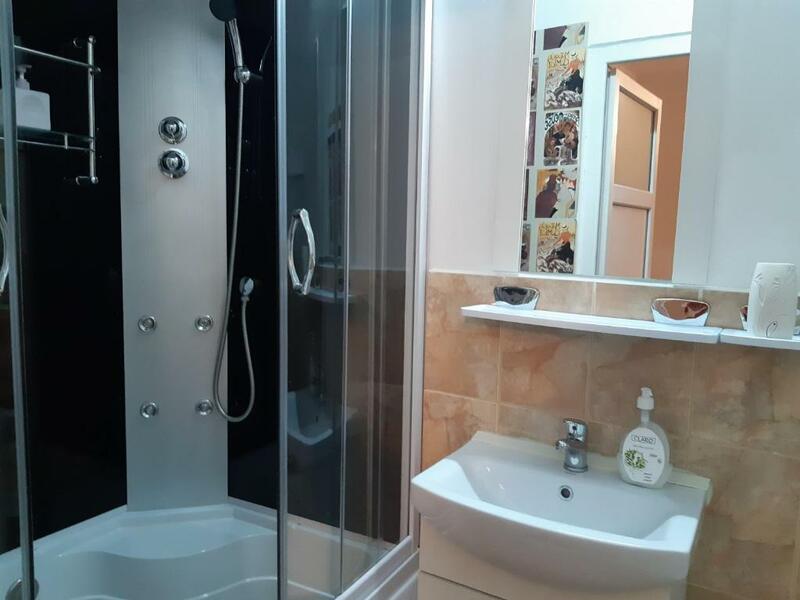 Perfect communication, excellent location, 3 minutes from the Sfatului Square and the Black Church. It was warm in the room. The pension administrator lived beside us and quickly fulfilled any request. Recommended! There are two good reasons to choose this place: 1. It's clean and 2. The location is amazing. Less than 3 minutes from the main square. Location and the professionalism of the lady in charge! Room comforts. Central location. Owner's kindness. It was a great room in the center of the old town and everything we wanted was next to us. So if u want to go to brasov this room is perfect. Lock in a great price for Casa Piata Sfatului - rated 8.5 by recent guests. Situated in the city of Brasov and only 50 yards from the Brasov Council Square, Casa Piata Sfatului offers en-suite accommodation and free WiFi available in the entire property. 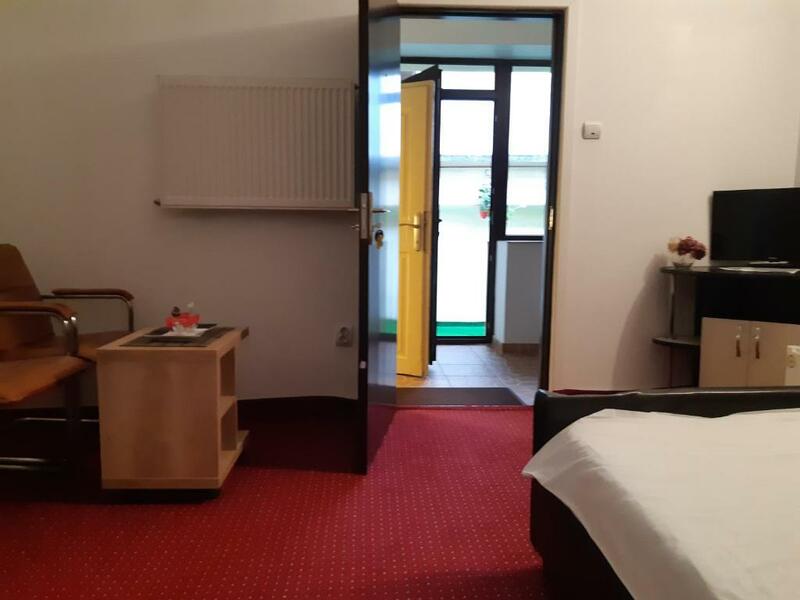 All units in Casa Piata Sfatului come with a seating area, a TV with cable channels and a private bathroom with free toiletries, a shower, a hairdryer, a bathrobe and slippers. A kitchen or a kitchenette are available in some rooms and the wellness rooms feature alternative medicine therapy sessions for a minimum of 3 days, which include a special diet, a personal therapist and individual tailored therapies. At request, meals can be arranged, are chargeable and based on pre-orders. The nearest grocery store is set 20 yards away and a restaurant can be found within 50 yards. The transportation services are available upon a request and for a surcharge. The nearest public parking is situated 50 yards from the property. The Poiana Brasov Ski Slope is located 6.8 miles away and the Brasov Train Station is within 9.3 miles. The Rasnov Medieval Castle can be reached within 9.9 miles and the Bran Castle is 18 miles away. 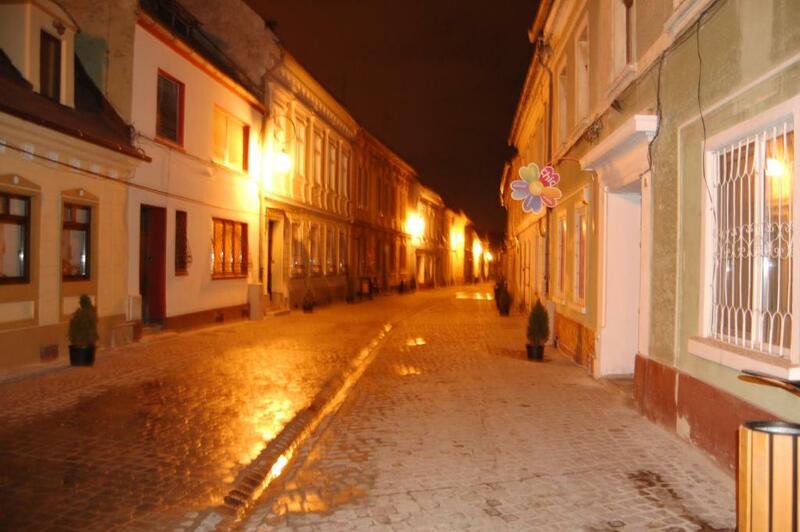 This is our guests' favourite part of Braşov, according to independent reviews. 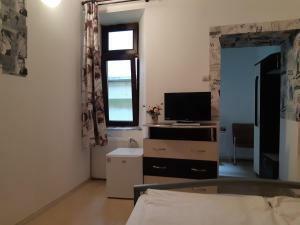 Casa Piata Sfatului has been welcoming Booking.com guests since 21 Jan 2014. When would you like to stay at Casa Piata Sfatului? 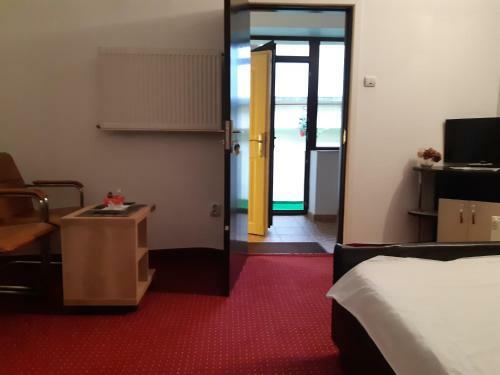 This room comes with a seating area, a TV with cable channels and a private bathroom with free toiletries, a shower, a hairdryer, a bathrobe and slippers. This apartment comes with a seating area, a sofa bed, a TV with cable channels, a well-fitted kitchenette and 2 private bathrooms with free toiletries, a shower, a hairdryer, a bathrobe and slippers. Brașov is a dazzling confection of candy-coloured medieval houses encircled by the Carpathian mountains. Don't miss the colossal Gothic "Black Church" in the centre of town. House rules Casa Piata Sfatului takes special requests - add in the next step! All further older children or adults are charged RON 5 per night for extra beds. Please note that the property has no reception. Please contact the property before 12:00 on the arrival date for check-in arrangements. Contact details are stated in the booking confirmation. Please inform Casa Piata Sfatului in advance of your expected arrival time. You can use the Special Requests box when booking, or contact the property directly with the contact details provided in your confirmation. One of the most picturesque neighbourhoods in Braşov! Can't think of anything I didn't like. There wasn't anything I didn't like, hence why I keep coming back. Everything. The room, the location, the bars, shops, restaurants, proximity to the bus station & train station. The central location allowing travel to other towns/cities in Romania from 30 minutes to up to 2-3 hours away via bus or train. And the people. The people are very welcoming and friendly and have been since the 1st day I've been travelling there since November 2017. If you make loud noise, take care, the walls are kinda thin. Important: the location has more than one building, in the same street. I waited in the building written on google maps, but after 10 minutes I was sent to the other building.This fact should be documented somewhere. It was close to the center. As per my previous reports, the room is beautiful, comfortable and warm & the location is perfect as everything is in walking distance. The street where I am staying is quiet as is the apartment complex. I always enjoy staying here as it is perfect for me. The pension is located on a pedestrian street, we did not have direct access to it by car, we carried the luggage 5-10 minutes to the entrance. Parking is available nearby at a rate of 3 euro per day. The room as usual is very spacious, the location perfect and central to everything you need. Which is why I have decided this as my first choice of accommodation when I come to Brasov. It was not the address it is shown in booking, so we went to the correct one and they sent us to another one. The host didn't speak any English at all. There was another lady that said you could chat on whatsapp but she didn't have it installed. No one asked us about any ID or passport, I don't know if it's legal in Romania but in the rest of the world it's not. The room is super small, very tiny. Makes you feel like in a cage and the furniture is very cheap.